Leif Stangebye-Nielsen is a metal artist with a main emphasis on silver corpus. He is particularly concerned with the concept of form where the totality of figuration, material, space and tactility portrays the ideas. The metals' ability to forge will witness in the works the heavy, physical process it has undergone. A dialogue between the artist and the material over time. The love of the materials, techniques and tools is used to communicate, create situations and experiences for viewers. It is not about entertaining or writing in capital letters, but about touching the individual and cultivating the human right to find peace and experience close sensual values in a hurried and chaotic society. Leif Stangebye-Nielsen has had several solo exhibitions and participated in a number of group exhibitions in Norway and internationally. He received the craft prize in 1988 and is represented in all the larger collections of handicrafts in Norway and the Victoria & Albert museum in London. The importance of water I (Vessel), 2018 | Forged silver 925 S. 367 g. Laminated wood. H. 17 x W. 21 cm. 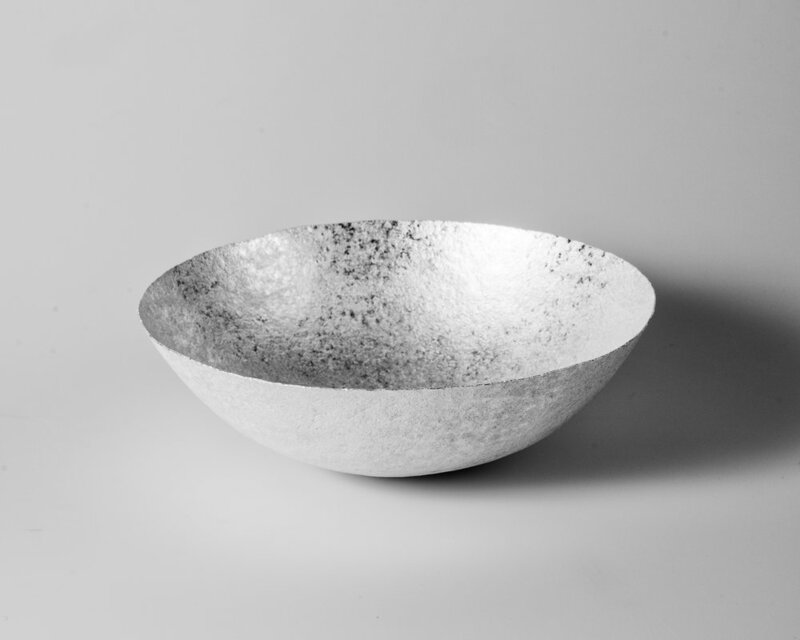 The importance of water II (High bowl), 2018 | Forged silver. 925 S. 666 g. H. 14.5 x W. 13 cm. The importance of water IV (Dish), 2018 | Forged silver. 925 S. 576 g. H. 3 x W. 29 cm. The importance of water V (Bowl), 2018 | Forged silver. 925 S. 662 g. H. 8.5 x W. 26 cm.